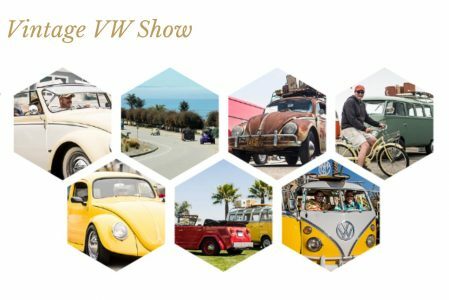 Head over to Downtown Pismo Beach and enjoy our Vintage VW Show (Buses, Bugs and More). Located at the Main Street parking lot, in downtown. The festivities kick-off with a meet & greet followed by a cruise through Pismo Beach. Come out and support a great cause either as an entrant or spectator. Food & drinks will be available in the Sea Venture Beach Hotel Restaurant starting at 11am, live music by the Crisptones will begin at 11:30am, and don't miss the 805 Surf Classic happening at the Pismo Beach Pier. Click here for VW registration!